Docks is a new application designed to allow one to have several Dock configurations and swap them out as needed. Using it is pretty straight forward, set up your Dock the way you want it, take a snapshot using Docks, then rearrange it another way. You can then restore it to any of the snapshots you have. 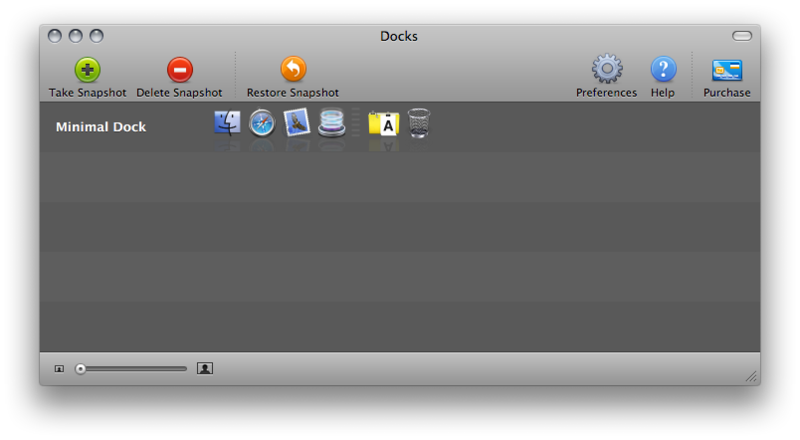 There is even integration with Spaces so that every space can have a different dock configuration. Worth a look if you would like to reduce the number of items in your dock but have the option of swapping in more as needed.